RockSolid Floors® (http://www.RockSolidFloors.com) continues its dedication to innovation and development, whether it’s redefining polyurea into an easy one-part formula or providing more color options for their Polyurea Garage Coat™ series. “Our Tan Garage Coat™ is just one of the many ways we at RockSolid Floors® take our innovative creations and make them practical for any home’s use,” says Patrick Ilfrey, CEO of RockSolid Floors®. 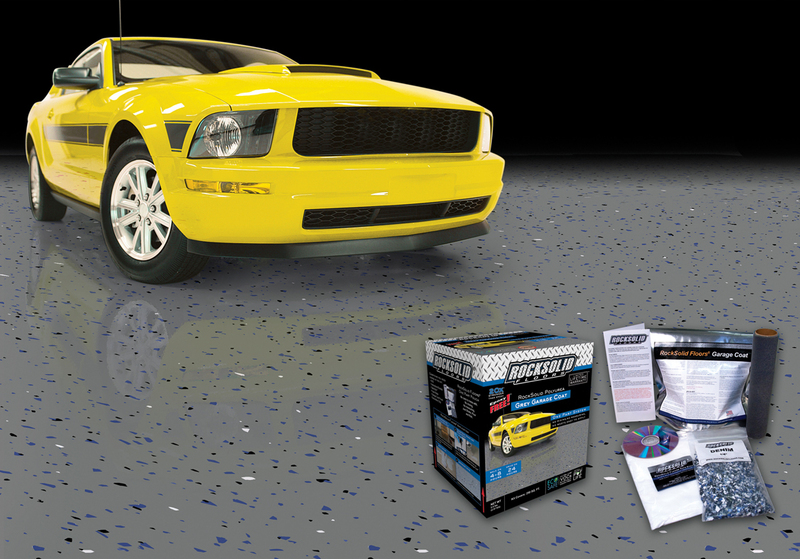 The RockSolid Floors® Polyurea Garage Coat™ series has grown to include their new Tan Garage Coat™. RockSolid Floors® leads the flooring industry in its ongoing innovation, and this new tan color option goes to show that their innovation applies to customer demands as much as it does to R&D in the lab. The Tan Garage Coat™, like all products in the Garage Coat™ series, has a virtually unlimited pot-life, allowing installers as much time as they wish to finish their projects while preventing any waste. At the same time, the unique One Part composition of the Garage Coat™ series allows it to keep polyurea’s usual 4 to 8 hour cure rate and 24 hour return to service once it’s applied. Polyurea is 20 times more durable and 98% more flexible than epoxy, ensuring that it outlasts any epoxy or vinyl system currently on the market. It also has ultra low VOCs to make it environmentally friendly. The Tan Garage Coat™ package comes with an instructional DVD and booklet, safe etch, decorative chip, and the specially-designed RockSolid Floors Foam Roller™. This roller is the key to creating the exact thickness needed for optimal performance, providing the most professional finish available. 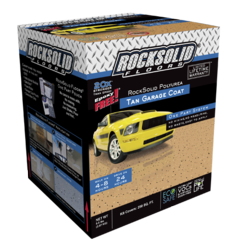 Because the Garage Coat itself is a single layer product, it doesn’t require any kind of sealer or top coat, ensuring that no other RockSolid products are required—everything needed is right in this single package. For more information about RockSolid Floors® or their new One Part Polyurea Solutions, please visit http://www.RockSolidFloors.com. RockSolid Floors Polyurea Garage Coatthe first industrial grade polyurea floor coating ever available in the DIY market. This never-before-seen polyurea technology has a virtually unlimited pot-life, while having a 4 to 8 hour cure rate and 24 hour return to service. 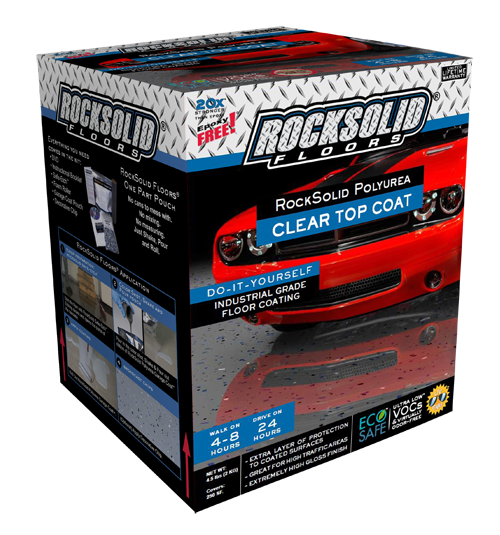 RockSolid Floors Garage Coat Foam RollerGarage Coat Foam Roller Used to apply coating in a thin and even coat. RockSolid Polyurea Clear Coat.RockSolid Polyurea Clear Coat. Use on high traffic areas and shop floors. 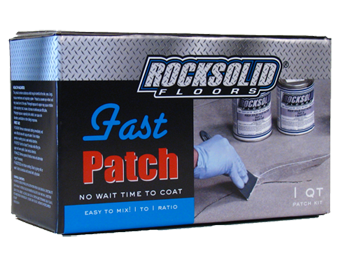 RockSolid Floors Fast Patch KitAlso available is the RockSolid Floors Fast Patch Kit™. This is a concrete repair solution for repairing cracks and other types of concrete damage.